Samsung quietly launched the Galaxy A20 smartphone in Russia last month. Less than a month after its global debut, the budget Android smartphone has arrived in the Indian market. 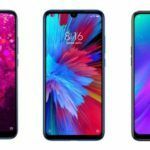 Positioned below the Galaxy A30, the Galaxy A20 will take on devices such as the Redmi Note 7 (review) and Realme 2 Pro in India. Is Samsung’s latest offering in the budget segment a better buy compared to its rivals from Redmi and Realme? Let’s find out. The new Samsung Galaxy A20 has been priced at INR 12,490 in India for the sole 3GB RAM + 32GB storage variant. It is set to go on sale in India starting April 8 in Black, Red, and Blue colors. Redmi Note 7 starts at INR 9,999 for the base variant with 3GB RAM and 32GB storage. The 4GB RAM and 64GB storage variant of the phone costs INR 11,999. Realme 2 Pro is the most expensive smartphone here, starting at INR 12,990 for the 4GB RAM + 64GB storage variant. 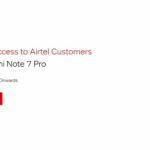 Its 6GB RAM + 64GB storage variant costs INR 14,990, while the top-end 8GB RAM + 128GB storage variant is available for INR 16,990. 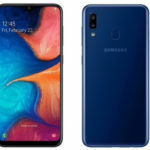 Samsung Galaxy A20 ships with Samsung’s new One UI on top of Android 9.0 Pie. It has a 6.4-inch Infinity-V Super AMOLED display with 720 x 1560 pixels HD+ resolution and a 19.5:9 aspect ratio. The phone is powered by Samsung’s in-house developed Exynos 7884 octa-core processor clocked at up to 1.6 GHz. As mentioned above, the phone packs 3GB of RAM and 32GB of internal storage. Thanks to a dedicated microSD card slot, Galaxy A20 supports further expansion up to 512GB. Redmi Note 7 has a slightly smaller 6.3-inch IPS LCD display featuring 1080 x 2340 pixels Full HD+ resolution and a tall 19.5:9 aspect ratio. One of its main selling points is the powerful Snapdragon 660 AIE processor with eight Kryo 260 cores and an Adreno 512 GPU. The smartphone comes equipped with up to 4GB RAM and 64GB internal storage. 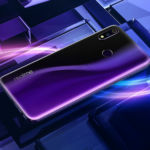 Unlike the Galaxy A20, however, the Redmi Note 7 does not offer a dedicated microSD card slot. It comes with a hybrid slot, which means you will need to choose between adding a second SIM or a microSD card for further expansion. In terms of software, the Redmi smartphone ships with Android Pie-based MIUI 10 out of the box. 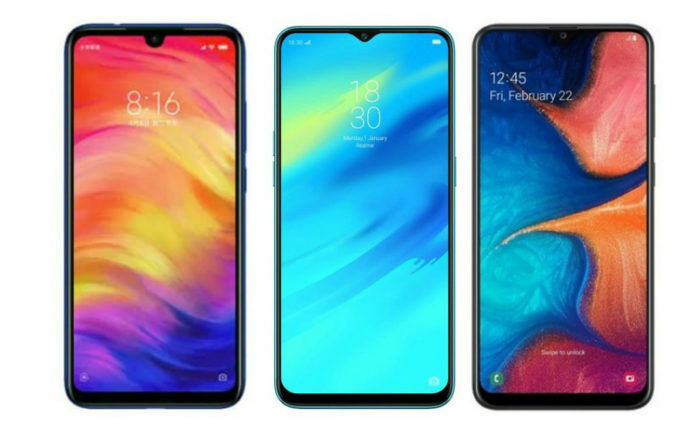 Realme 2 Pro sports a 6.3-inch Dewdrop Notch IPS LCD display with 1080 x 2340 pixels Full HD+ resolution and the same 19.5:9 aspect ratio as the other two phones. Just like the Redmi Note 7, the Realme 2 Pro is powered by an octa-core Snapdragon 660 AIE chipset. 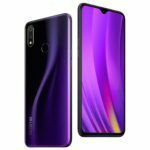 In the memory department, Realme 2 Pro packs up to 8GB RAM and 128GB internal storage. It includes a dedicated microSD card slot as well for further expansion up to 256GB. When it comes to software, the Realme smartphone currently runs on Android 8.1 Oreo-based ColorOS 5.2. Overall, the Redmi Note 7 and Realme 2 Pro are very similar when it comes to display and performance. They both feature Full HD+ resolution displays and run on Qualcomm’s 14nm Snapdragon 660 chipset. In comparison, the Galaxy A20 feels underwhelming with its lower HD+ resolution and less powerful Exynos 7884 chipset. When it comes to optics, Samsung Galaxy A20 has a 13MP + 5MP dual-camera setup at the rear. The primary 13MP sensor has been coupled with an f/1.9 aperture lens, while the secondary 5MP depth sensor has been paired with an f/2.2 lens. For selfies, the smartphone has an 8MP fixed focus snapper on the front with an f/2.0 aperture. 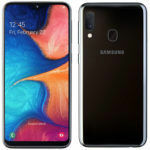 Connectivity options supported by the Samsung Galaxy A20 include Bluetooth 4.2 LE, Wi-Fi 802.11 b/g/n, GPS with A-GPS, GLONASS, BeiDou, 4G VoLTE, and a USB Type-C port. Its internals are fueled by a large 4000mAh capacity non-removable battery supporting 15W fast charging. Unlike the Chinese version, the Redmi Note 7 sold in India does not come with a 48MP primary sensor at the rear. Instead, it features a 12MP + 2MP AI dual-camera setup with EIS AI scene recognition. The primary 12MP sensor is clubbed with an f/2.2 aperture lens, while the 2MP depth-sensor is paired with an f/2.4 lens. On the front, it comes with a 13MP selfie camera with AI Portrait mode and AI Beautify features. Connectivity-wise, it supports Wi-Fi 802.11 a/b/g/n/ac dual-band, Bluetooth 5.0, 4G VoLTE, GPS with A-GPS, GLONASS, and BeiDou. The Redmi smartphone packs a 4000mAh capacity battery and is bundled with a 10W charger in the box. Realme 2 Pro, like the other two smartphones in this comparison, has a dual-camera setup on the back. It uses a 16MP Sony IMX398 primary sensor with an f/1.7 aperture and a 2MP depth-sensor. Similar to the Redmi phone, the Realme 2 Pro offers AI scene recognition and also has EIS for video recording. For selfies, the Realme smartphone features a 16MP AI selfie snapper with AI Deep Learning and AR music stickers. Connectivity options supported by the Realme 2 Pro include Bluetooth 5.0 LE, Wi-Fi 802.11 a/b/g/n/ac dual-band, 4G VoLTE, GPS with A-GPS, GLONASS, and BeiDou. The smartphone has a 3500mAh capacity battery under the hood with support for 10W charging. Quite clearly, the Redmi Note 7 and the Realme 2 Pro have a very slight edge over the Samsung Galaxy A20 on the imaging front. As for battery life, the Galaxy A20 and Redmi Note 7 are quite similar. However, the Galaxy A20 is the only smartphone in this group to support fast charging out of the box. While the Redmi Note 7 comes with Qualcomm Quick Charge 4.0 support, you will need to purchase a comaptible charger to be able to enjoy faster charging. There is no doubt that the latest Galaxy A-series lineup from Samsung is a lot more competitive compared to the previous generation budget smartphones from the company. When compared to the competition, however, the new Galaxy A20 is not as impressive. Even though it offers an AMOLED panel, the lower resolution is disappointing. Both the Realme 2 Pro and Redmi Note 7 also offer more impressive performance thanks to the Snapdragon 660 AIE processor. In my opinion, the Redmi Note 7 is superior to both the Samsung Galaxy A20 and Realme 2 Pro.